Summer is barely upon us, but as a shopping editor, I can't help but get excited for everything that is Fall. As I browse the internet for hot deals, I'm already spotting chic ankle boots and fuzzy jackets left and right that I can't wait to get my hands on. 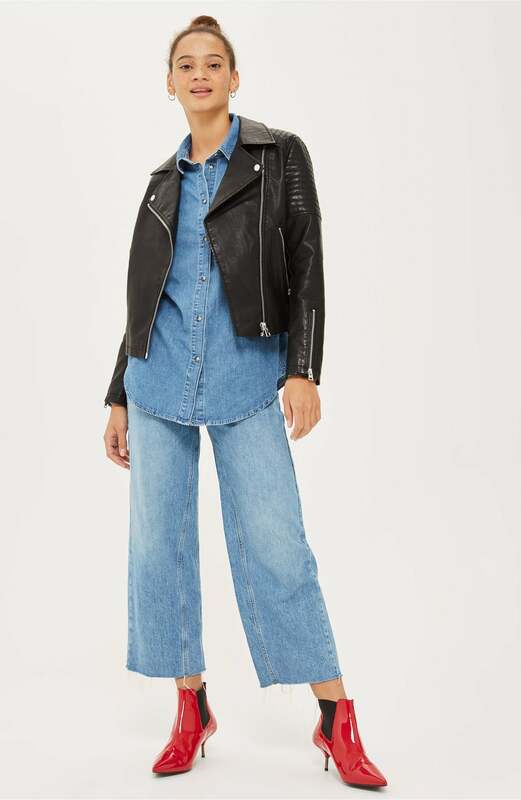 To make temptation even more alluring, the Nordstrom Anniversary Sale is back, and I found one thing I'm investing in: this Topshop Blossom Faux Leather Biker Jacket ($48, originally $95). Having a solid leather jacket in your wardrobe is always a must, no matter the season. You can wear it to work, on a night out, for date night, weekend getaways, you get it . . . they're so versatile. 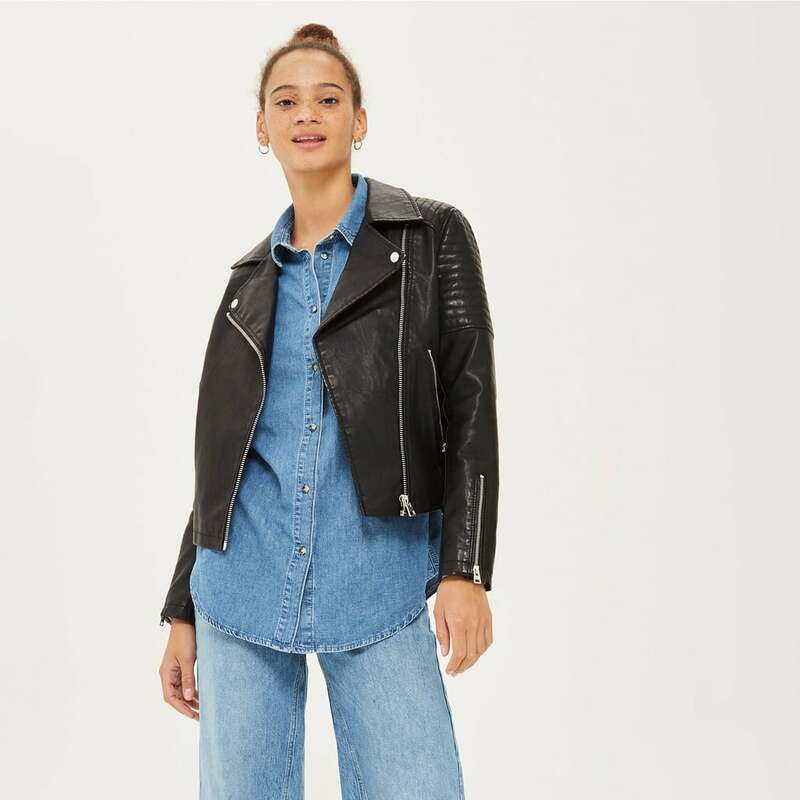 Similar pieces can run you upwards of hundreds of dollars, but Topshop is known for its quality, style, and affordable prices, so we call this a great buy. It doesn't lack in style either. 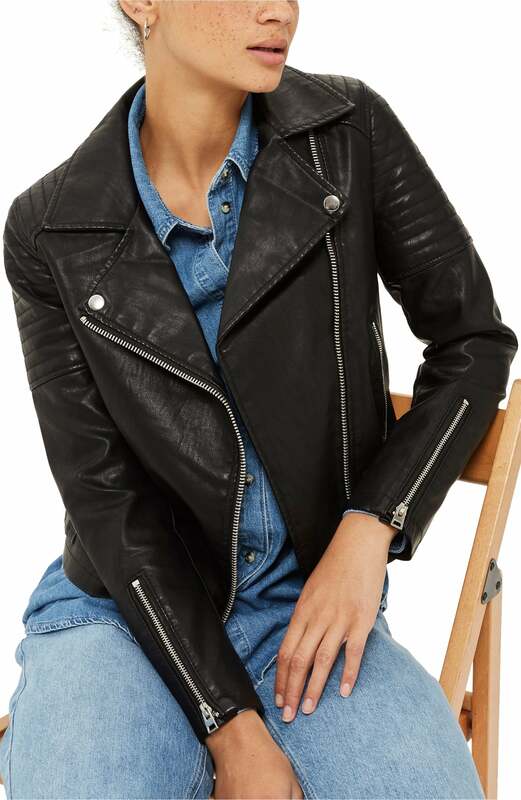 The biker jacket is detailed with quilted shoulders and zipper embellishments that give it just a little bit of an edge. Don't drag your feet on this deal because the sale starts on July 20 and only runs through August 5. Do yourself a favor and shop.